Scorpions get inside homes during the night as they’re out hunting for food or a mate, and as bark scorpions gather to hibernate/nest. 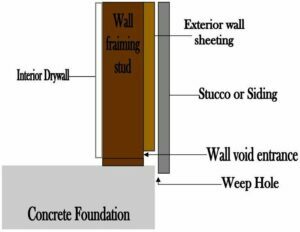 During the day scorpions seek shelter and rest in or under cracks, crevices, landscaping materials, in block wall fences, and around homes and or other buildings. Scorpions come out at night and make their way inside homes in several ways as they searching for a mate, meal, or shelter. Responsible Pest Control specializes in delivering EFFECTIVE scorpion control services that are FRIENDLY to family and pets throughout the Phoenix Valley. This is a big one… Scorpions look for cracks and crevices to shelter in and often make their way up into WEEP areas at the base of the house. After entering weeps, scorpions can move into wall voids and up in to the warm attic during the cooler winter months to nest. Weeps are one of the the most common entry spots for scorpions to get inside. Bark scorpions LOVE to climb on walls (and stucco) and can get inside where there are un-caulked cracks around windows and doors. Everyone knows that scorpions can enter a home through open doors, but did you know they can enter under closed doors? They CAN! Exterior doors usually have rubber attached to the bottom called a “sweep”. Old or worn out door sweeps don’t fit tight and leave room for scorpions to get inside under the closed exterior door. Scorpions only need a 1/16th opening to get inside! Exterior vents leading inside can be an open door to bark scorpions! Because bark scorpions love to climb, they often come upon vents leading inside the home! Bathroom vents, or exhaust vents, are common entry points for scorpions who often drop on the interior floor after entering. Exterior vents should be screened with window screening and duct tape purchased at any hardware store! Take the vent off first and attached screening to the inside of the vent to avoid an eyesore! During their nighttime hunting and mating activities scorpions enter homes through the smallest cracks and crevices in the exterior or garage walls. Scorpions get into cracks as small as 1/16th of an inch often found at the base of untrimmed (unfinished) garage walls, and around pipes and wires that enter the home. Scorpions are nocturnal arthropods. As soon as the sun comes up scorpions seek shelter, and often sting people as they’re sheltering in shoes, clothing, and bedding. Scorpions have been found to infest homes by the hundreds, and LOVE sheltering in wall voids and other cracks and crevices. One pregnant bark scorpion will have 25-39 babies who’ll ride on their mothers back for a couple weeks, and mature in 1 year further growing the infestation. Eliminate scorpions now and PREVENT future invasions with the specialized Scorpion Pest Control services at Responsible Pest Control. Get help from the Scorpion Control experts! 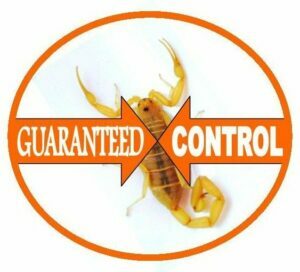 Providing EFFECTIVE Scorpion Control in Phoenix, Mesa, Chandler, Glendale, Gilbert, Scottsdale, Queen Creek, San Tan valley and surrounding areas. Good morning Justice! Yes our scorpion pest control technicians treat the week areas with spray during regular scorpion and pest control services. Do you spray up in the weep area when doing a regular pest control service?